HIGH QUALITY: Our capsules are manufatured and packaged in state-of-the-art cGMP certified facilities meeting all health compliance requirements. 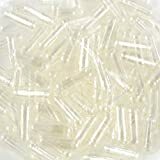 Our capsules are made using only 100% pharmaceutical grade gelatin.. PURE INGREDIENTS: Highest quality pharmaceuitcal grade gelatin derived from only beef, contains no pork. Kosher and Halal certified. No additives or contaminants. Allergen and Gluten Free..
RESEALABLE PACKAGING: All capsules are packaged and sealed in resealable plastic bags. 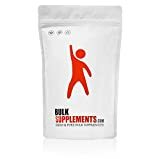 Please note packaging may vary based on quantity and capsule size..
MAKE YOUR OWN SUPPLEMENTS: Create supplements and vitamins with full control of ingredients and dosages.. SATISFACTION GUARANTEED: If for any reason you are not 100% satisfied with your purchase please contact us directly and we will do our best to make it right. We pride ourselves in providing a convenient shopping experience..
Our capsules are manufatured and packaged in state-of-the-art cGMP certified facilities meeting all health compliance requirements. Our capsules are made using only 100% pharmaceutical grade gelatin.. Highest quality pharmaceuitcal grade gelatin derived from only beef, contains no pork. Kosher and Halal certified. No additives or contaminants. 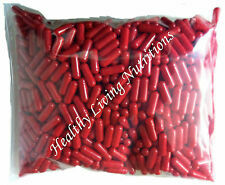 Allergen and Gluten Free..
All capsules are packaged and sealed in resealable plastic bags. Please note packaging may vary based on quantity and capsule size.. If for any reason you are not 100% satisfied with your purchase please contact us directly and we will do our best to make it right. We pride ourselves in providing a convenient shopping experience..
1000-count empty capsules in size 0. Preservative, allergen & gluten free. Two-piece empty gelatin or vegetarian capsules in size "0." Fill with desired supplement, herb or medication using a compatible Capsule Machine. Type: Storage Boxes & Bins. 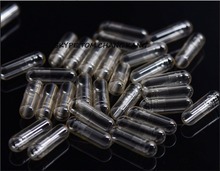 Pure clear capsules bag of 1000 each..
No Preservatives or additives "0" holds about 500 mg. or 1/7 tsp..
Packaged and distributed by Capsule Connection, LLC. 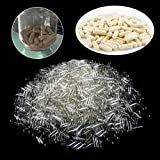 -BSE Free Certification Gelatin Capsules Halal Certificate Kosher Certification Natural capsules designed to fill any kind of medication like herbs, vitamins, and other substances. 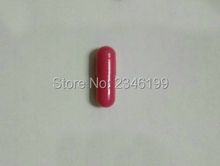 100% HIDE GELATIN CAPSULES(100% BSE FREE). 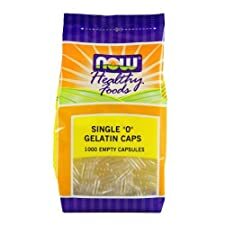 Features Pharmaceutical grade empty gelatin capsules derived from bovine raw materials sourced from BSE-free countries 100% HIDE gelatin derived from the skin. Kosher certified and inspected. Halal certified and inspected. 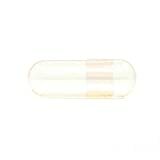 Safety Information: Do not fill capsules with any liquid suspension because it will dissolve prior to consumption. Keep out of direct sunlight, hot water and high temperatures. Doses depend on the powder and medication that the capsule is filled with and as needed.